Doc Johnson calls their Pocket Rocket "The World's Most Popular Vibe". 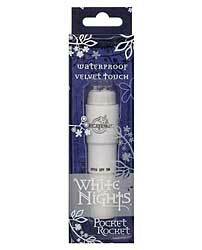 And their White Nights Pocket Rocket goes one better with a soft Velvet Touch coating that feels so good against the skin. 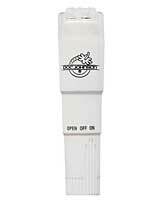 The White Nights Pocket Rocket is waterproof and uses one AA battery, not included.